BCIT’s Presidents Office is seeking a temporary, full-time Sustainability Manager, with a term end date of January 8, 2021. 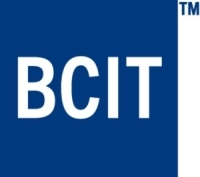 This position provides leadership and direction related to implementation of BCIT’s policy on economic, social and environmental sustainability. In conjunction with the Director, Institute Sustainability, develops, reviews and analyzes new initiatives. Conducts viability assessments and project costing, ensuring that performance and policy standards are met. Works with management staff across BCIT schools and service departments to institutionalize the practice of sustainability through operational budgets and plans, performance assessments, processes, and procedures. Manages and updates publications, reports, and marketing and communications documents pertaining to Institute Sustainability. Ensures that processes are in place to refresh information on a regular basis. Provides leadership in the development, continual evolution and implementation of the Ecocity Centre. Researches, develops and initiates opportunities for the Ecocity Centre to enable it to gain a competitive edge in all aspects of applied research and industry services collaborations related to the advancement of sustainable cities aligned with the International Ecocity Standards. Identifies and pursues external funding opportunities to support the Ecocity Centre, including initiatives that co-benefit Institute Sustainability, and works with the Foundation office, as needed, to manage donations and related activities. Manages reporting staff, overseeing and participating in selection, coaching, mentoring, development, performance management and all other people-management practices. Develops, manages and monitors operating budgets relating to Institute Sustainability for both existing and/or new initiatives, including developing proposals with feasibility studies and preparation of recommendations and reports. Reviews and coordinates the administration of contracts and agreements including grants, international and affiliation agreements, industry services agreements, etc. Completion of a Master’s degree in sustainability, business administration, engineering, environmental studies, natural resources management, community planning, or public administration. Completion of professional sustainability, corporate social responsibility, Leadership in Energy and Environmental Design (LEED), or similar training and professional accreditation would be an asset. Seven to ten years of current, relevant experience, preferably in a unionized work environment. Advanced literacy in Microsoft Office applications, particularly in Excel. Demonstrated budget preparation and administration skills, coupled with strong financial reporting skills. Familiarity and knowledge of lifecycle assessment and a demonstrated interest in coupled with environmental stewardship. Must be able to identify ethical practices and energy and materials savings opportunities in purchasing processes. Demonstrated leadership, time management, project management, and organizational skills. Excellent problem-solving, critical thinking, and creative skills. High degree of initiative, energy, and self-confidence combined with good judgement. Must be knowledgeable about provincial funding programs. Must have demonstrated project management experience, and policy development experience including experience in writing business cases, grant proposals, and detailed reports. View the full job description on our website.